SCOUTS from Cardiff and the Vale have been invested into the prestigious Lord Mayor’s troop. 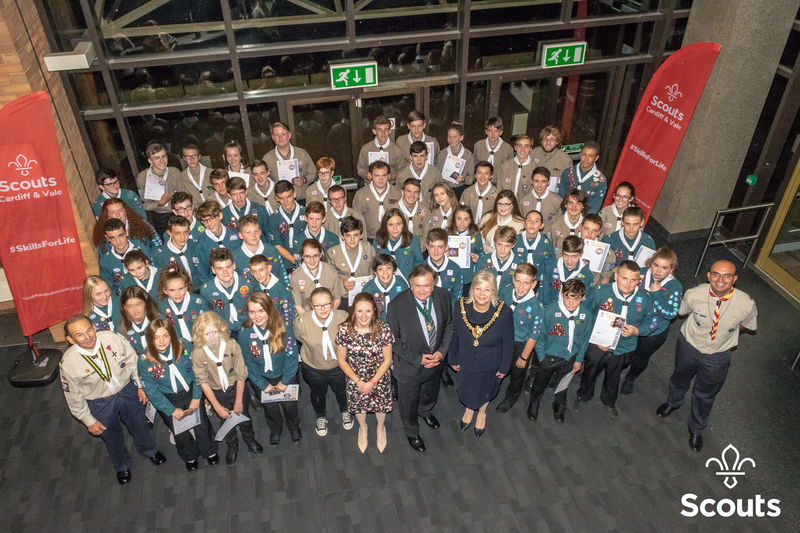 The annual Lord Mayor’s presentation took place at Cardiff County Hall on Tuesday 18th September 2018, recognising the achievement of the young people who have gained Scouting’s highest Awards and valuable Skills for Life. These awards require a level of determination and effort that reflect both the personality and character of the individual. 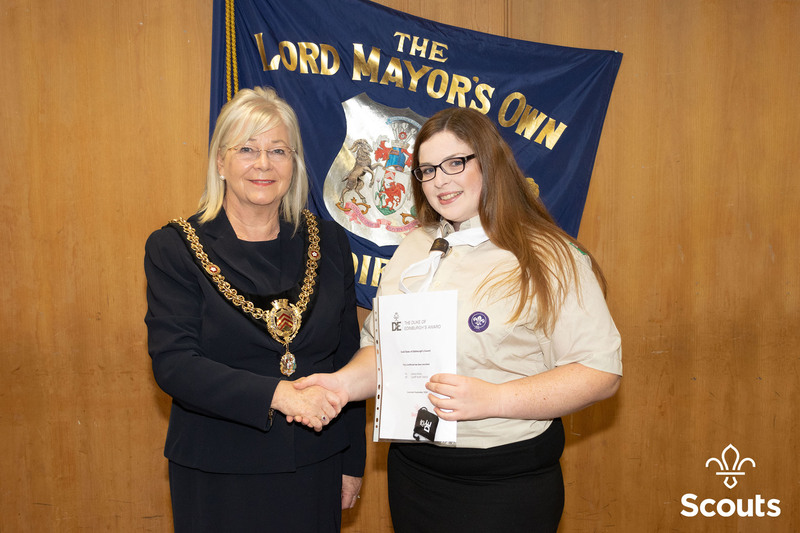 Cardiff’s Lord Mayor Councillor Dianne Elizabeth Rees presented the young people with a certificate and a white Scout neckerchief bearing the City Crest embroidered on its point. The troop is enlisted to support the Lord Mayor whenever requested, at events like the Remembrance Day parade and civic carol service. Tori James adventurer, first woman from Wales to climb Everest said in her inspiring talk to award receipts “sometimes you need to step out of you comfort zone to achieve your goals”. 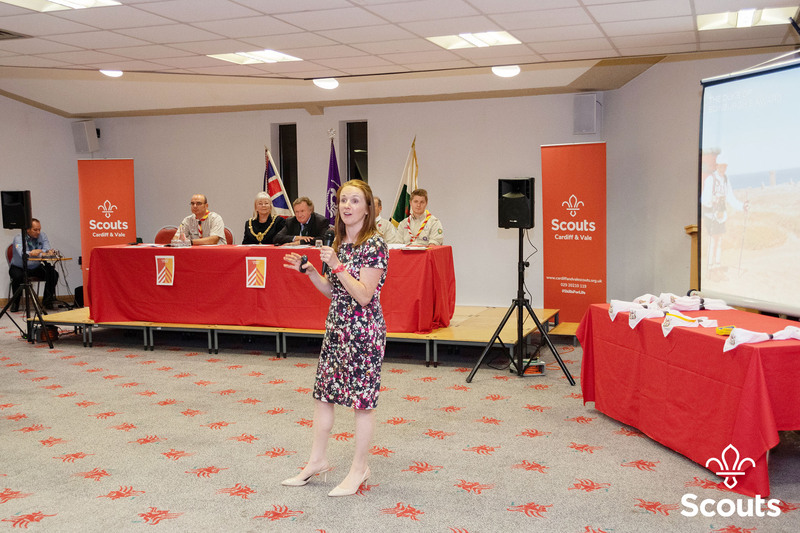 In total there were a fantastic 65 Chief Scout’s Gold, 6 Chief Scout’s Platinum and 1 Queen’s Scout Awards presented. Scouting caters for both girls and boys aged from 6 to 25 and currently there is a waiting list as we need more volunteers. Roles are open to anyone from the age of 14 to “80 plus” and anyone interested can get in touch at scouts.org.uk/get-involved or call 0345 300 1818.